Whether you have an asphalt driveway or a parking lot, any paved area can start to show signs of wear over time. Natural elements like ice, snow, heat, and salt can wear away at the strength of the asphalt and the simple act of constantly driving on it can depreciate it as well. Don’t worry, however. This can happen to anyone and we at Mr. Pavement have a quick fix for it. 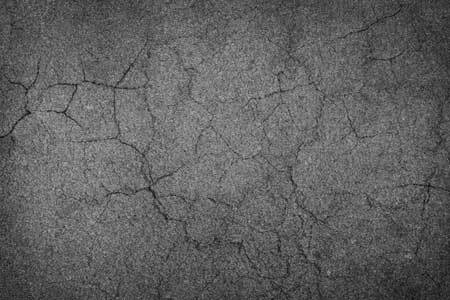 Constant or prolonged wear can create cracks or holes in your pavement, which is not very aesthetically pleasing to visitors. 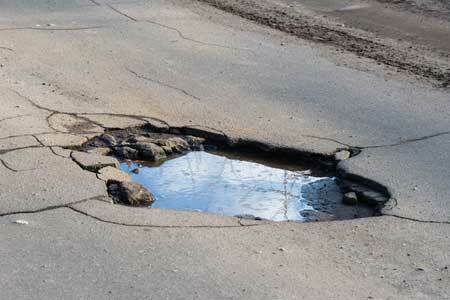 These cracks or holes can also be dangerous to drivers and require a fast fix with asphalt patching repair. If these cracks are left ignored, water could fill them up, then freeze in colder temperatures. Since water expands when it freezes, it could cause the cracks to get worse and require even more effort to fix. That’s where our patching services from Mr. Pavement come in. We’ll make sure that your damaged pavement is properly fixed by patching up any problematic areas. We’ll complete our work with minimum disruption to the area’s traffic, so you don’t have to worry about losing many visitors and once our experts are finished, your pavement will be good as new and ready for driving. 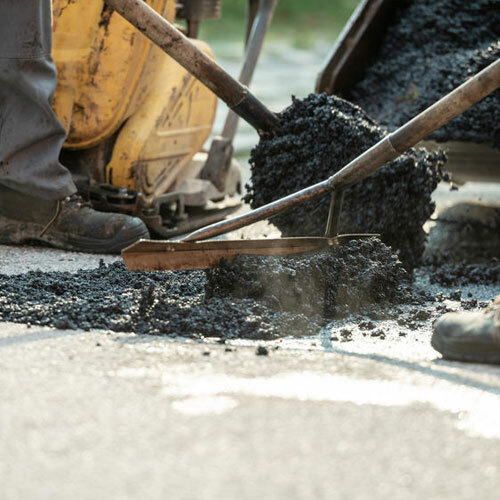 Our patching services will prevent your pavement’s damage from getting any worse and will protect the area in the future.